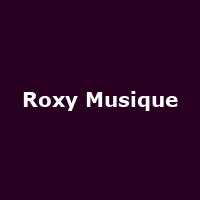 "Roxy Musique is a gathering of highly talented and experienced musicians who are all devotees to Roxy Music. The lead singer Steve Richmond is highly regarded as a Bryan Ferry tribute from his time with Roxyrama and matches Bryan's coolness and charm on stage with his own natural prescence. His whistling in Jealous Guy seems to have a profound effect on the women in the audience, much to the band's amusement!"